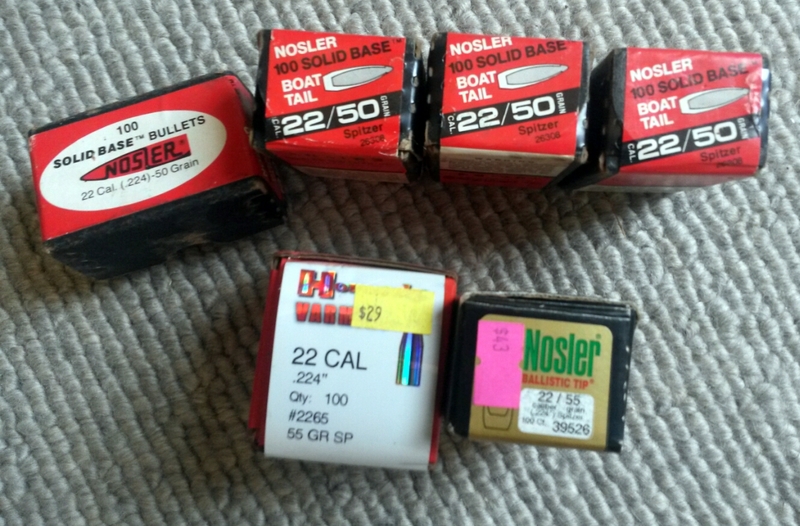 I have 3 unopened 100 boxes of 22cal 50gn Nosler flat base projectiles for $100 for 300. Plus an open box of the same pills with maybe 30 left. Plus a handful of 55s and Hornady 55gr SP left. PM for details. Ship for free.